A fit lifestyle goes hand in hand with a healthy diet. We’ve all heard before that what you put in your body affects how you perform, how you feel, and especially how you go about your days. Finding the correct balance of healthy foods and fitness activities allows the body to achieve maximum results and feel and look its best. Protein powders are a great helper for women aiming to achieve this healthy and fit balance in their lives. One solid protein option for women looking to increase their health and fitness levels is Isopure by Nature’s Best. Isopure comes in various flavors, including chocolate and creamy vanilla, and it is a great way for women to include a protein powder into their diet while achieving new levels of fitness, whether that be in the weight room, out on the roads, or in the gym. Even though you might be wanting to up your fitness level and make a change or addition to your diet, you still want to eat what tastes good and enjoy yourself. Isopure gives you a simple vanilla flavor in its product, without graininess or chalkiness, so it has a smooth texture that makes it easy to drink. It smells fairly plain, so no overwhelming odors will bother you either. The Isopure product does not have a strong flavor, however, so if you are looking for something with a very strong taste, this is not your product. 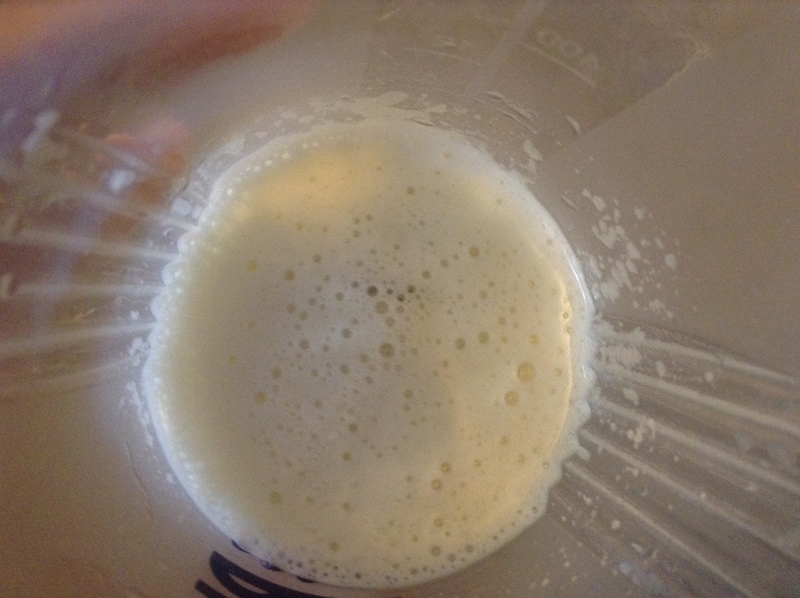 Because it lacks a strong sweetness and isn’t very overhwleming, Isopure would work great as mix into your morning smoothie, some protein pancakes, or with milk and ice for a tasty shake. The opportunites are endless with Isopure, and you can be creative by adding this to many different items and gaining strength and energy while you go. 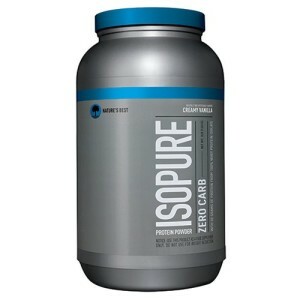 Isopure is a great mixer into different parts of your diet, and it also packs quite a punch nutritionally as well. Isopure boasts that it is made of 100% whey protein isolate; most other protein powders feature a combination of isolates, concentrations, etc. Here you get a more filtered, pure product that will digest well and allow your muscles to fully reap the benefits of a quality protein product. Isopure also yields a whopping 81% protein in each 2 scoop serving, and with 50 grams of protein in that two scoop serving, you’re gaining a lot of protein without a lot of excess. If you are watching your weight, Isopure is not a bad option, as those 50 grams of protein only come with a cost of 210 calories. 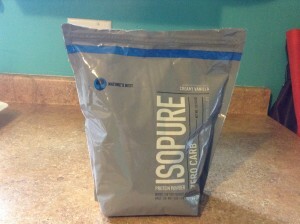 Isopure takes care not to add a lot of excess junk, so you will find that it is gluten, lactose, and aspartame free. However, you will find some artificial flavoring in the product, so it is not completely all-natural. 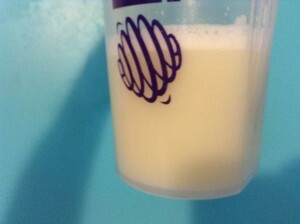 protein powders for women is that it contains 0 grams of any type of carbohydrate. Many people follow a low carb diet as a way to lose weight or build muscle, and Isopure’s lack of any carbs allows you to continue on your plans without sacrificing a solid protein powder for your needs. The instantized formula stays gentle on your tummy and its easy to drink after any workout for a quick boost and aide in muscle recovery. They also add various vitamins and minerals to the powder to help your body run at its best. The price of Isopure is solidly mid-range, but it is a worthy product to spend on, and you can find it in many different sizes, from a small bag to a large bucket, depending on your protein powder consumption. Isopure allows women a great carb-free option for their goals in health and fitness; you’ll be well on your way to meeting those goals with this product! Let’s review some pros and cons of Isopure. Nature’s Best Isopure gives you a smooth, carb-free beverage that can be used to achieve many different goals that a woman might have involving health and fitness. Its high protein yield gives you a lot of bang for your buck, and the added vitamins and minerals give you the extra goodies you need to hit that new PR, gain that max rep, or jump to a new level of fitness.